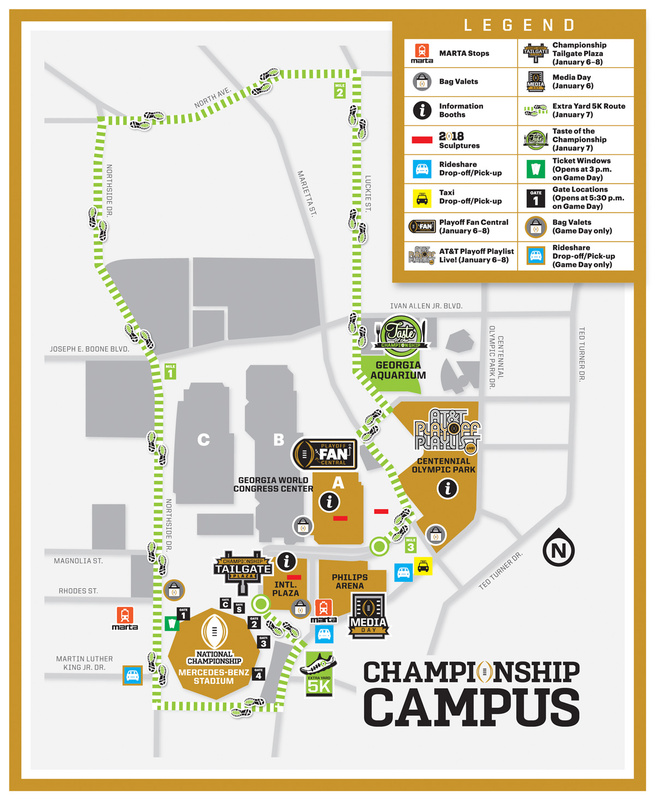 Your Guide To National Championship Weekend! Downtown Atlanta provides countless options to move around the city and navigate around Championship Campus. From AT&T Playoff Playlist Live! in Centennial Olympic Park to Playoff Fan Central in the Georgia World Congress Center, here are a few pro-tips for moving around downtown and navigating through Championship Campus. Grab a friend and share a Lyft to get around downtown. The designated drop-off and pick-up location will be on the corner of Centennial Olympic Park Drive and Philips Drive. 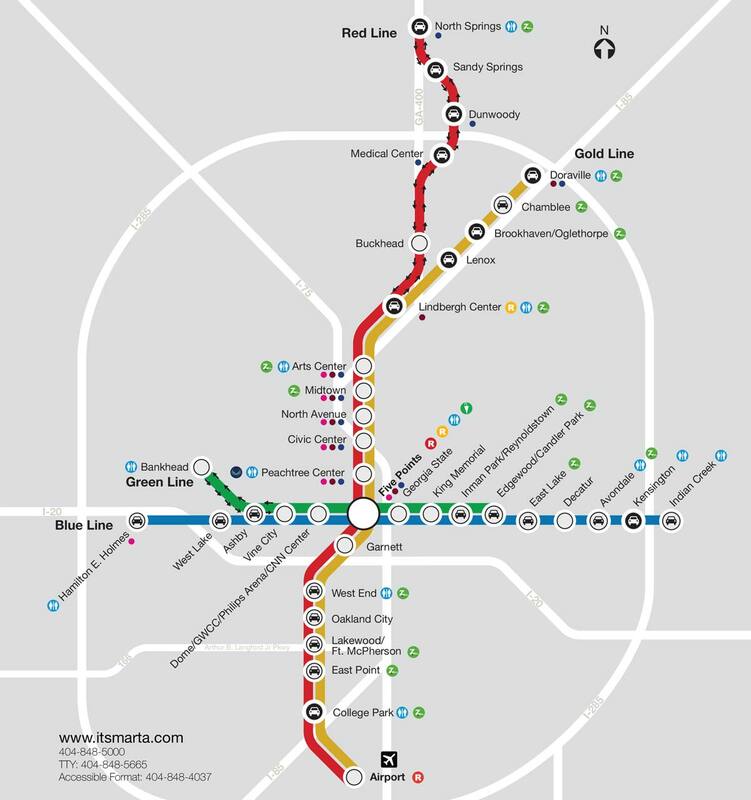 Downtown Atlanta’s walkable footprint makes getting around Championship Campus simple and easy. 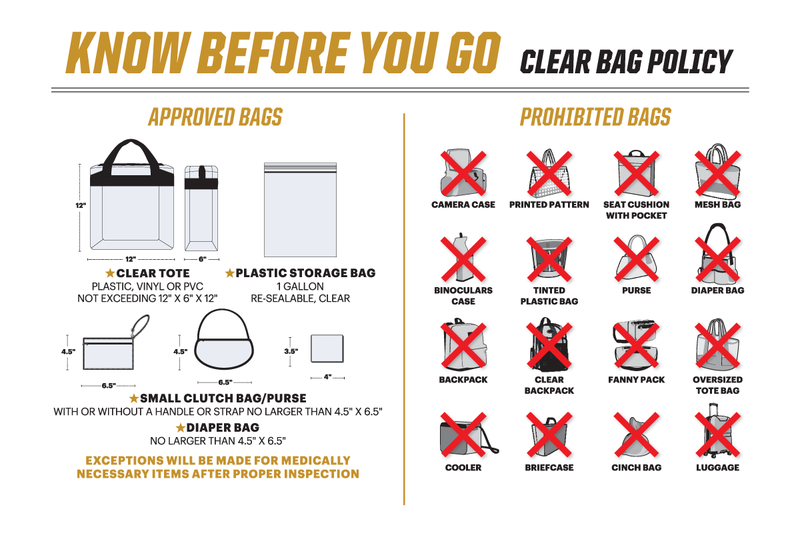 A clear bag policy will be enforced at the 2018 College Football Playoff National Championship and throughout all Championship Campus events. 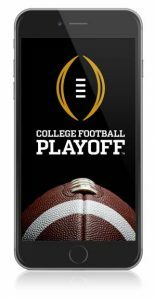 Stay connected on all championship weekend events by downloading the CFBPlayoff app.